This quick and easy vegan pesto pasta recipe is a delicious vegetarian weeknight dinner! The first snow came early in Chicago this year. It was barely November and we were driving to an appointment. It was snowing, and then all of the sudden it went from “really charming” to “wow it’s really coming down!” Now, I learned to drive in snow, so I know how to pump the brakes (before anti-lock brakes existed) and to turn into the slide. But after living in Austin for so many years, I’ve gotten soft. It was always funny to me how the slightest hint of snow in Texas meant that schools were closed and roads were abandoned, but when our first real snow day happened here in Chicago, my first though was “how many people are really going to be on the road?” Well, the answer ended up being way too many – we sat in the cold car way too long, wearing way too-light coats, staring at brake lights and a grey sky. I thought – really – what have we done?? I write a blog about vegetables, I’m shooting a book that’s due before May (when the spring farmers markets open) and we’ve moved so far from the sun! 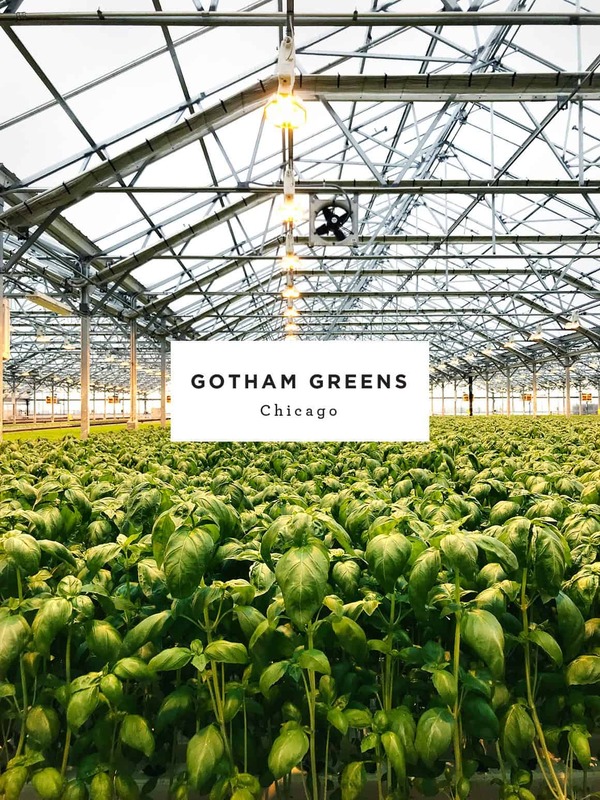 We got to where we were going – an industrial area in the Pullman neighborhood where, situated on the roof of the Method production facility, is Gotham Greens. I’ve been obsessed with their locally grown greens the moment I came across their deliciously spicy arugula earlier this year. We got a tour of their rooftop greenhouse and even though it was cold and miserable outside, it was so warm and sunny up there. There was a sea of the softest butter lettuces, my favorite spicy arugula, and the loveliest scent of fresh basil. My first two thoughts were: 1. Could I just hang out up here all winter? I could bring my laptop and maybe they could put a desk in a sunny corner for me? and 2. How hard would it be to build a greenhouse on our rooftop so that I could go up and pick local fresh produce (and hang out in the warmth) all winter? Later that night, with a fridge full of greens and a pantry full of not much else, I made this five minute vegan pesto pasta because, well, we weren’t about to head out into the snow for any additional groceries. I added in some of Gotham Greens’ arugula, but you could use spinach or kale or any leafy green you like. This kale pesto s my favorite vegan pesto recipe, but feel free to use basil in place of the kale, or even store bought pesto if you’re in a pinch. The key to pesto pasta is to reserve some of that salty, starchy pasta water to loosen the pesto enough to make it a light sauce over the pasta. For lots more pasta recipes, check out the pasta section of our recipe index! 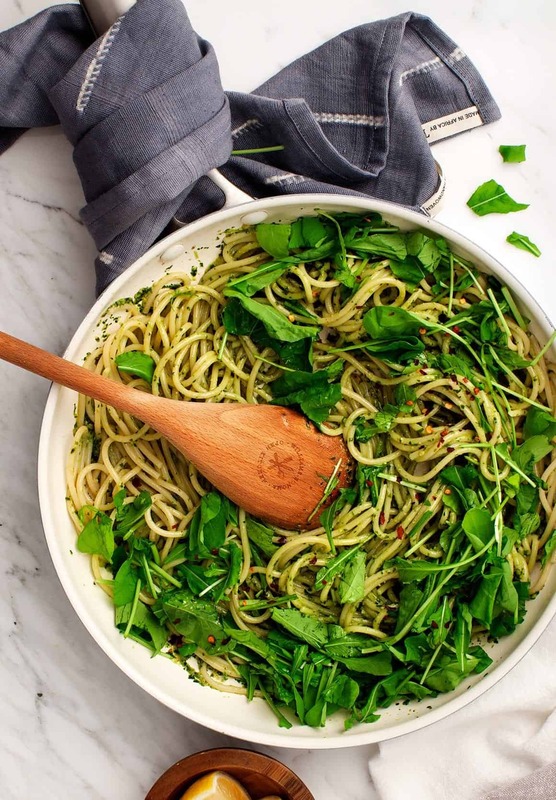 This quick and easy pesto pasta is a delicious vegetarian weeknight dinner made with tangy kale pesto and peppery arugula. Cook the pasta in a large pot of salted boiling water according to package directions or until al dente. Reserve ½ cup of the starchy cooking liquid before draining. Drain the pasta and toss with a tiny bit of olive oil. 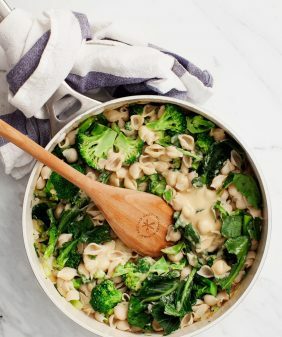 In a large skillet over very low heat, add the pesto, ¼ cup of the reserved pasta water and stir to combine Add the pasta and toss to coat, and more pasta water as needed to create a loose sauce. The amount of water needed will depend on thickness of your pesto. Turn the heat off. Add lemon juice, salt, and pepper, to taste. Add arugula and toss to barely wilt. Add the red pepper flakes and pine nuts and serve. 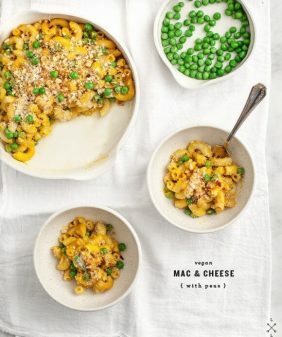 Make this gluten free by using gluten free pasta. Pulse all ingredients in a food processor until combined. This post is not sponsored, I just love Gotham Greens so much! Can you link up the Gotham Greens Pesto recipe. You talk about “this recipe” in terms of a pesto but the only link is to a Kale pesto. Is that what “this recipe” refers to? Thanks! sorry that was unclear! 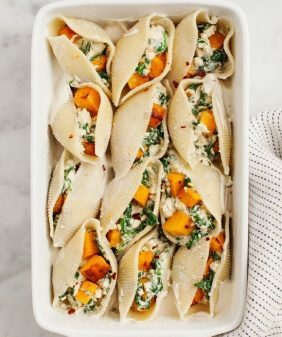 Their pesto is a product and not a recipe so I linked my favorite pesto recipe for those that don’t have Gotham Greens available locally. I am so excited to learn about this. My partner is a teacher in the Pullman neighborhood. There are a lot hidden gems there. 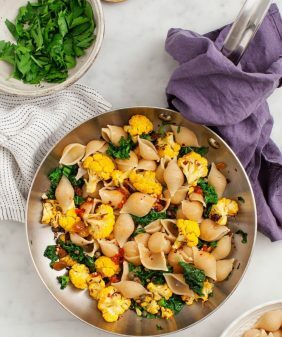 Oh my…this may be the most stunning pasta ever! 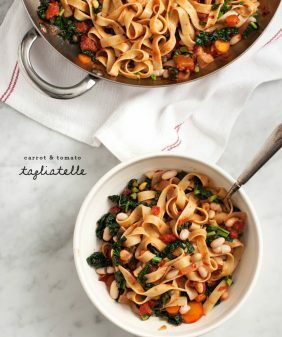 might have to break my diet for this (pasta not otherwise allowed!) but I do get a day off each week, so I’ll spend it on this, love pesto pasta, craving it actually, and love pine nuts of course! Definitely need to make this! I love pasta and pesto! I just recently stumbled on your website. I wanted to compliment you first on your visually beautiful website and imagery….! Secondly, your recipes are wonderful!! 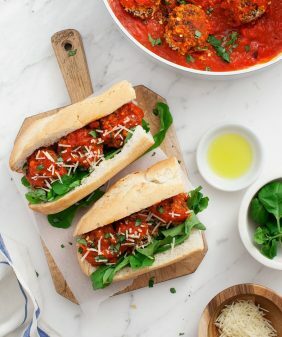 Thank you for the inspiration and recipes! !